The two hardest positions to find in basketball are center and point guard. The game has evolved so much that the point guard’s role has expanded and the position has become more complex and more valuable than ever. There are five basic skill sets you must own in order to be play the position. First, you must take care of the ball and avoid turnovers. Second, you must be able to make all the passes. Third, you must execute the game plan and run the offense. Fourth, you must be able to create shots for teammates. Fifth, when all things break down and the shot clock is winding down, you must be able to score either with the drive or jump shot to bail your team out. The players on this list possess all these fundamental skills, and have set themselves apart from their peers. 10) TY LAWSON, Denver Nuggets: Former Nuggets coach George Karl says the key to his fast-break offense was Ty Lawson. The former University of North Carolina star has gotten better and better each season, and in 2013 he averaged 17 points and seven assists. Despite his lack of size (listed at 5-11) Lawson is one of the league leaders in points in the paint because he’s a handful in the open court, with his incredible foot speed, he can beat any defender to the basket. 9) MIKE CONLEY, Memphis Grizzlies: Conley is the son of Olympic track star Mike Conley Sr. He may not have daddy’s jumping skills but he’s definitely the better ballhandler and playmaker in the family. The former Ohio State standout is a tremendous two-way player. He takes care of the ball (6-to-2 assist-to-turnover ratio) and is a very good on-ball defender. He averages 2.2 steals per game and had 174 thefts in the 2012-13 season. When Rudy Gay was traded, the Grizzlies basically gave the keys to the car to Conley and let him drive the offense. Conley raised his profile in the 2013 playoffs when he played Chris Paul to a draw in the Grizzlies-Clippers playoff battle, won by the Grizzlies. 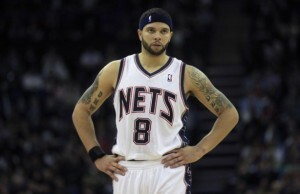 8) DERON WILLIAMS, Brooklyn Nets: Deron Williams is Jason Kidd with range. Much like Chris Paul, D-Will can play fast or slow. He can be a playmaker or a scorer. 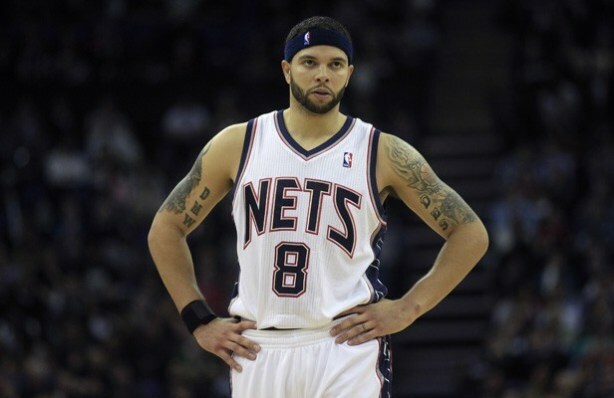 D-Will has the entire package. He can drive, he can hit the 3 and get his teammates easy shots. And he’s built like a tank (6-3, 209). He’s one of the few PGs who can score 20 points and get 10 assists. The only knock on Williams — and the same can be said about CP3 — is that he hasn’t been able to lift his teams past the conference semifinals, and some also question his work ethic. He came into the 2012-13 season a little out of shape, and it took nearly the whole season for him to get his conditioning up to speed. 7) KYRIE IRVING, Cleveland Cavaliers: You know you’ve arrived when you have a soda commercial. Irving is the star of the “Uncle Drew” Pepsi Max campaign, and his needle is pointing way, way up on the star-o-meter. Irving has the total package: sick handles, smooth jumper, and athletically gifted. He’s still learning to make his teammates better, and once he has figured out that aspect of the game the sky is the limit. It’s hard to erase the memories of King James in Cleveland, but Uncle Drew is slowly helping the healing process. 6) RAJON RONDO, Boston Celtics: The 6-1 guard from Kentucky was arguably the Celtics’ best player during the 2010 NBA playoffs, turning the Celtics’ Big Three into the Fantastic Four. Rondo is a unique player because he rebounds extremely well for his size, has an array of circus shots when he gets close to the basket. He can also impact the game on both ends. He’s one of the best off-the-ball defenders in the league (leading the league in steals in 2009-10), and plays the passing lanes extremely well. And when you look up the definition of “tough” in the dictionary, you may see Rondo’s name next to it. If Rondo has a weakness, it is his inability to master the mid-range jump shot. If he ever develops a consistent jumper, he’ll be unstoppable. 5) STEPHEN CURRY, Golden State Warriors: The son of Dell Curry came into the league with one of the purest jumpers you will ever see. Steph’s stroke is pure genius, and even his misses are a thing of beauty. Once he was able to overcome his ankle problems, Curry has elevated his game into superstar status. After an injury-plagued 2011-12 season in which his average dipped to 14 points, the Golden State sniper raised his scoring average to 22.9 in 2012-13. Curry had a game for the ages on Feb. 28, 2013, when he electrified the Madison Square Garden crowd by dropping 54 points on the New York Knicks. Curry knocked down 11 threes and was 18-for-28 from the field. Mark Jackson called it one of the best performances he has ever seen at the Garden. That’s high praise coming from Jackson, who grew up in New York City and was drafted by the Knicks out of St. John’s. 4) DERRICK ROSE, Chicago Bulls: D-Rose became a star during the first round of the 2009 NBA playoffs in an epic series against the Boston Celtics. In his first NBA postseason game, Rose scored 36 points at the new Boston Garden, and his career has been on a fast track to Springfield ever since. Rose is a freakish athlete. He has tremendous handles, amazing body control, and a fearless attitude. He has improved his mid-range game and 3-point shot the last two seasons, and his hard work was rewarded when he was named NBA MVP in 2011 — the first Bulls player to win the award since Michael Jordan. Few can match Rose’s ability to maneuver around a defense. Now, the big question is, can he regain that ability after ACL surgery? 3) RUSSELL WESTBROOK, Oklahoma City Thunder: Westbrook’s coming out party occurred in the 2010 NBA playoffs when he lit up the L.A. Lakers in the first round. Phil Jackson paid Westbrook the highest respect when he assigned Kobe Bryant to guard him for much of the series. Westbrook is one of the best finishers in the game, and he attacks the rim like a Navy SEAL team storming a compound in Pakistan. The scary part about Westbrook — who was a shooting guard when he played at UCLA — is that he’s still learning the point guard position. Many pundits slam Westbrook for being too much of a gunner, saying he doesn’t have the patience nor the fundamentals to run a traditional NBA offense. Westbrook is a unique talent who thrives on raw emotion. It’s his biggest strength, so curbing Westbrook’s special skills would be like leaving a Ferrari parked in a garage and not taking it for a spin. 2) CHRIS PAUL, Los Angeles Clippers: CP3 is an absolute witch with a basketball in his hands. He is capable of posting a 20-5-11-2 stat line, and few point guards can match his intensity and will to win. But Paul’s greatest strength is his the ability to change the tempo of a game. He can play fast or slow. One minute he’s pushing the ball up the court, then one minute he’s walking it up and milking the clock. Paul is the quarterback of the Greatest Show on Hardwood, aka Lob City. Whenever you see Blake Griffin or DeAndre Jordan on SportsCenter, they’re usually beneficiaries of a CP3 feed. Paul led the Clippers to a Pacific Division title in 2012-13 and was named to the All-NBA first team for the third time in his career. The only thing missing in Paul’s resume is a NBA championship. 1) TONY PARKER, San Antonio Spurs: In the last 20 years, only two point guards have been named MVP of the NBA Finals: Chauncey Billups and Tony Parker. Parker, the MVP of the 2007 Finals, consistently puts up superb offensive numbers, and is the only point guard on this list who shoots over 50% from the field. Few can match Parker’s speed and energy. He seems like he never gets tired and has one of the most devastating offensive weapons in basketball: the floater. The Spurs guard may not have invented the floater, or teardrop, but he certainly has perfected it. Now, almost every guard in basketball — from high school to college to the pro level — uses the one-handed push shot that drives big men absolutely crazy. With future Hall-of-Famers Tim Duncan and Manu Ginobili slowing down with age, Parker has become the engine that drives the Spurs.